The third of the Bad Habit After Hours Collection is probably the one I was looking forward to the most. 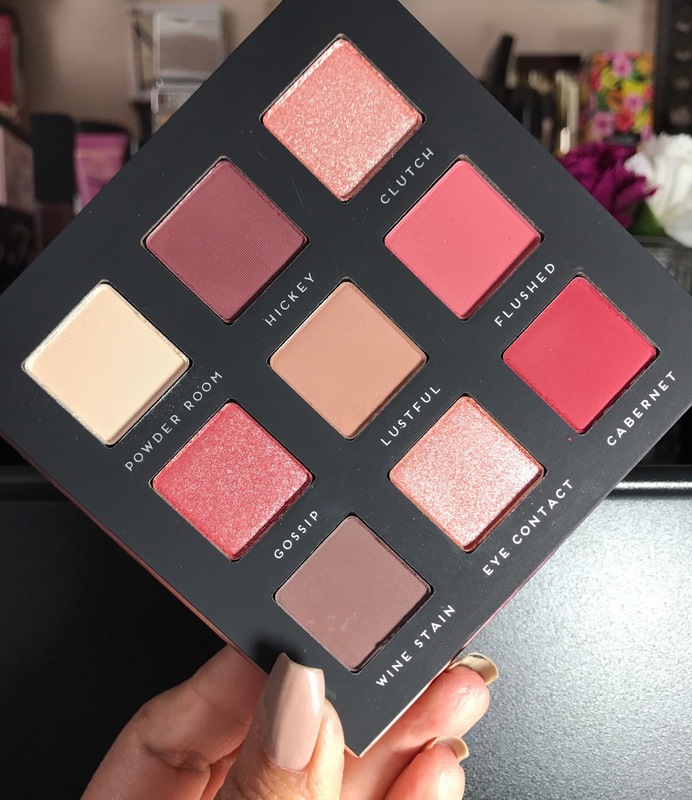 This palette is called After Hours and it is a dupe of the Huda Beauty Mauve Obsessions Palette, which is my favorite of the Huda Obsessions minis. You can find my full review of Mauve Obessions HERE. As you can see the palette is filled with gorgeous shades in mauve/berry tones, which I am so into. Unfortunately, this is the palette whose swatches I was less impressed with. I felt that the mattes swatched pretty strong but the shimmers all seemed flaky and chunky, almost as if they are all missing binder to make them really creamy and smooth. But of course I have only swatched the palette and it could actually be amazing on the eyes. I just wasn't wowed by my first impressions but will make sure to test this palette thoroughly before coming back to review it for you. 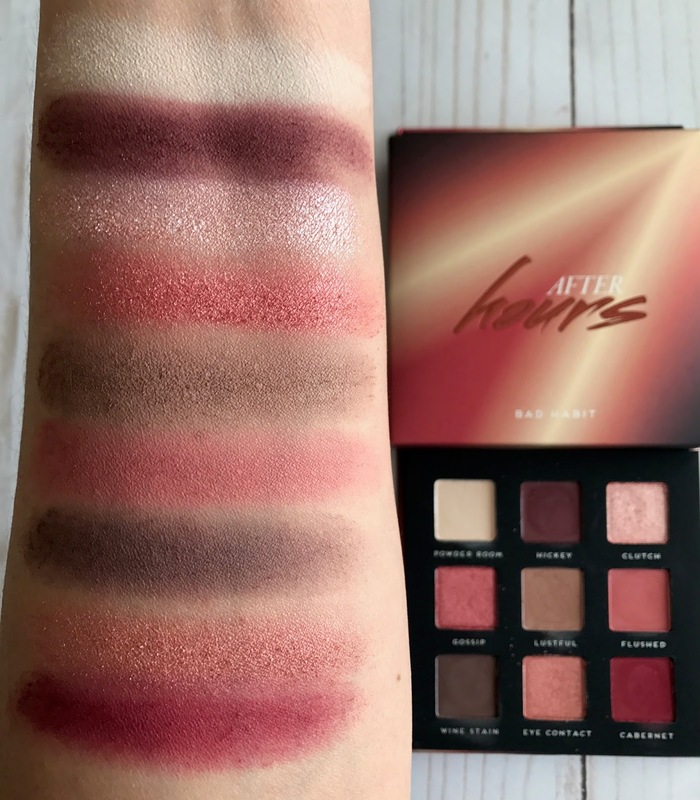 I LOVE the Huda Beauty Mauve Obsessions and would love it if I could recommend After Hours to you as a more affordable alternative. I love this color scheme, especially the matte shades. 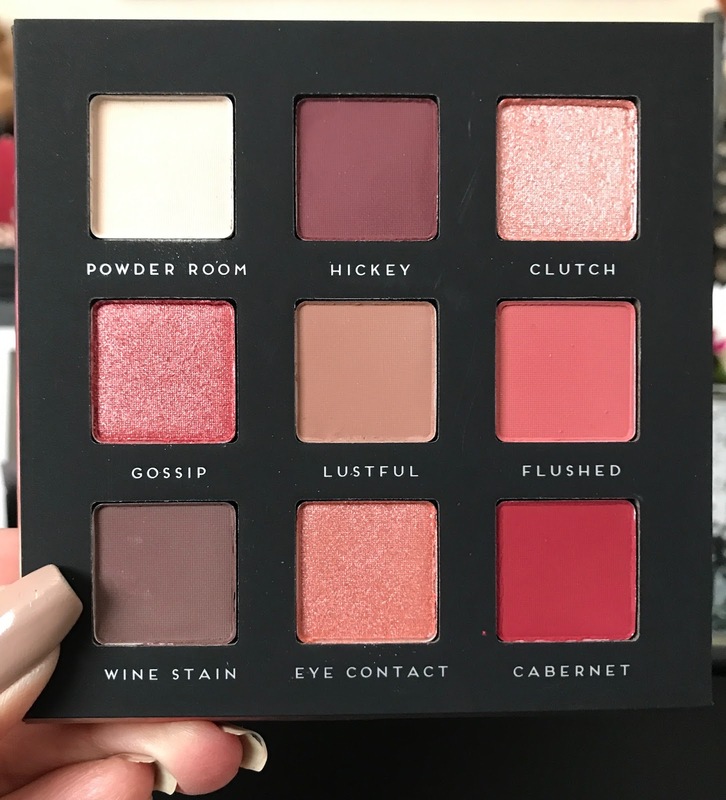 If you look closely at the shade Lustful, you will see how dry and patchy it is. After I applied one layer it completely dissapeared and I had to add another for the photos. I don't know what's wrong with that shadow, but it's the only one in the collection that has done that so far. I will reserve any more opinions until I have actually used this palette on my eyes. For now I am definitely underwhelmed. Find the After Collection palettes at Shop Hush for $10 a piece or $30 for the bundle. They might be currently sold out but Shop Hush is really good about re-stocking quickly.